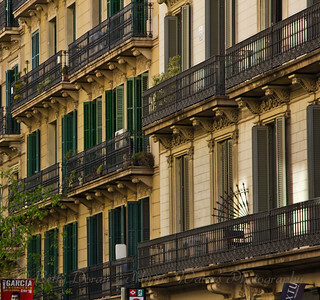 If the eyes are the window to the soul, surely the windows of Barcelona are the portals to its heart. Everywhere, amazing balconies, sculptures and reliefs give a nod to the artisans of old, and frame their beautiful windows. The windows, in turn, reflect the skies of Mediterranean blue and clouds of today. 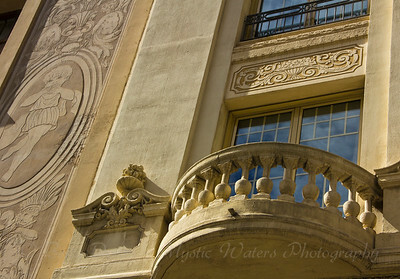 Light plays about one of the many historic buildings in Barcelona, Spain. Such amazing balconies and turned iron-works, each more unique than the last. 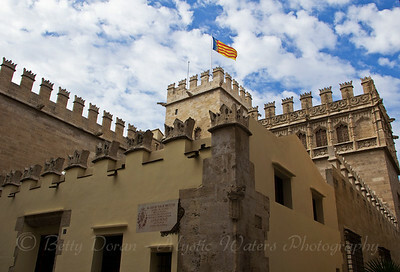 A walkabout in Valencia, Spain, and I am greeted with yet another beautiful slice of history. With ornate reliefs, and hand-forged iron balconies, these beautiful windows invite us to travel to another time and place. On a gentle April afternoon, a lone visitor enjoys a slice of the sweet life, and wades into the welcoming Mediterranean. In Cartagena, Spain. 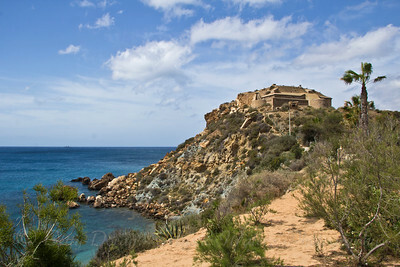 Sitting proud upon a hilltop overlooking the Mediterranean, El Castillo keeps watch over the seas, as it has throughout the ages. In Cartagena, Spain. 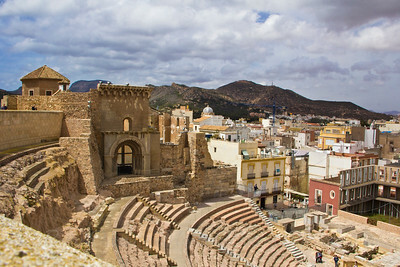 El Teatro Romano de Cartagena is an ancient Roman theatre in Cartagena, Spain. The theatre was built between 5 and 1 BC. It is amazing how many times we can come across these treasures that lie just below the surface of our modern lives! 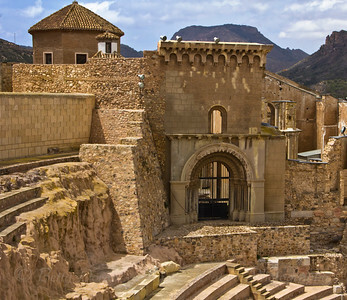 From the beginning, the discovery and excavation of the Roman Theatre of Cartagena has become one of the most amazing finds in the town's archaeology, demonstrating the important role that the town of Cartagena played in the history of Old Spain (Hispania Antigua). 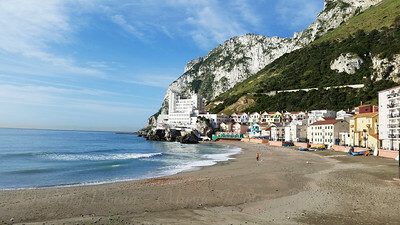 A stroll along the shore just below the Rock of Gibraltar... Sun overhead, cool breezes all around, the gentle sounds of surf. What a lovely combo! 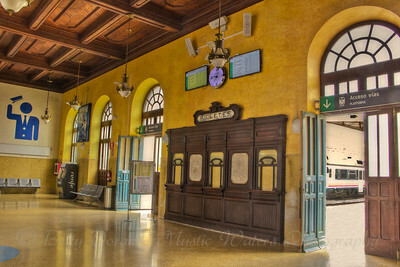 The train station in Cartagena, Spain is Art Nouveau and Eclectic in design. 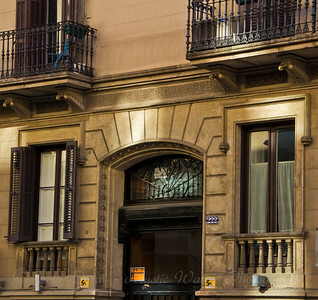 It was built between 1906 and 1907 by architect Victor Beltrí, following the designs of civil engineer Ramón Peironcely and with the collaboration of ceramicist Daniel Zuloaga. To step inside, one can almost hear the murmurs of travelers past, such a beautiful slice of history! 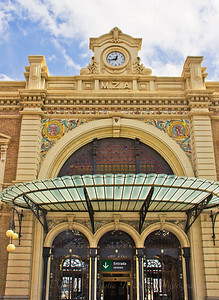 The train station in Cartagena, Spain is Art Nouveau and Eclectic in design. 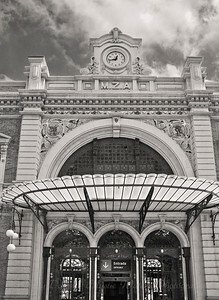 It was built between 1906 and 1907 by architect Victor Beltrí, following the designs of civil engineer Ramón Peironcely and with the collaboration of ceramicist Daniel Zuloaga. 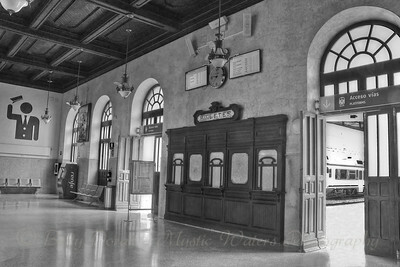 The Railway Station has some outstanding iron doors and columns on the façade, and inside can still be seen the original ticket office, door frame, ceiling and the lamps. El Teatro Romano de Cartagena - was built between 5 and 1 BC. 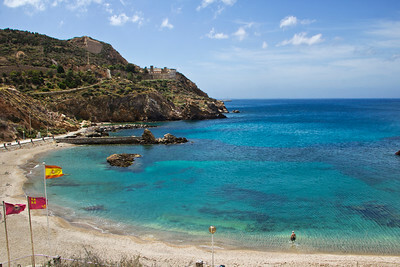 This beautiful sight was discovered and excavated in Cartagena, Spain. One can only imagine the pulse, the energy, of the patrons that once attended here...history revived.